Crystals are often used for clearing your mind, helping with emotional awareness, meditation and energy therapies. The crystals we chose often give us the insight as to what we need on an angelic-emotional level. Even their names are somehow associated with a higher vibration due to their mineral make-up. 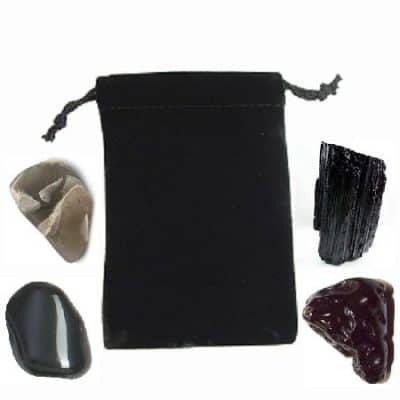 Whether you are looking for guidance, spiritual connection, psychic awareness or transformation, here is your opportunity to create your own set of angelic stones. Choose 4 of the crystals that are right for you. 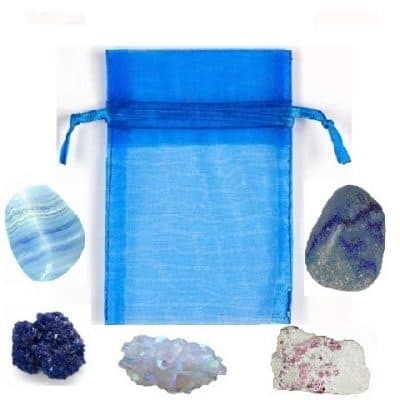 We send them to you in a beautiful, bejeweled satin bag with healing instructions, angel meditation and the opportunity to discover more about the crystals AND angels you chose. Crystals are often used for clearing your mind, helping with emotional awareness, meditation and energy therapies. The crystals we chose often give us the insight as to what we need on a angelic-emotional level. Even their names are somehow associated with a higher vibration due to their mineral make-up. 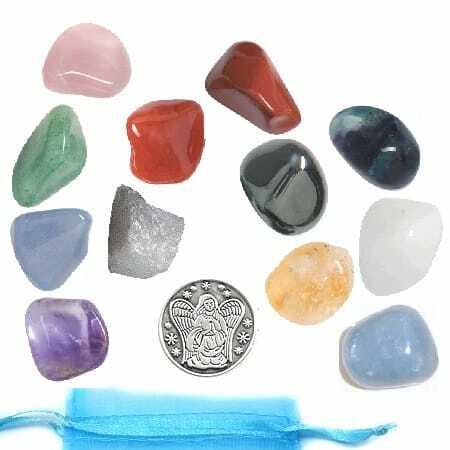 Angelic stones are the crystals most often associated with the working of angels and angel therapy. 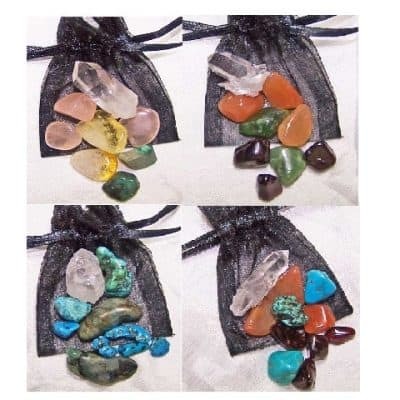 Whether you are looking for guidance, spiritual connection, psychic awareness or transformation, here is your opportunity to create your own set of angelic stones. Choose 4 of the crystals that are right for you. 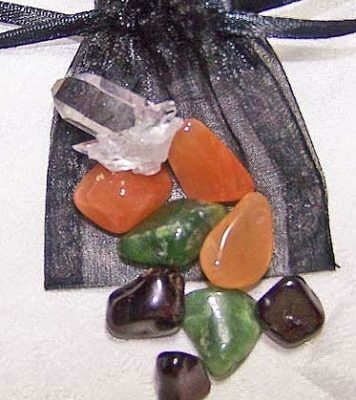 We send them to you in a beautiful organza bag with healing instructions, angel meditation and the opportunity to discover more about the crystals AND angels you chose. We also include our special Guardian Angel coin!